We have excellent friends! One set of excellent friends is Ilse and Meeno. 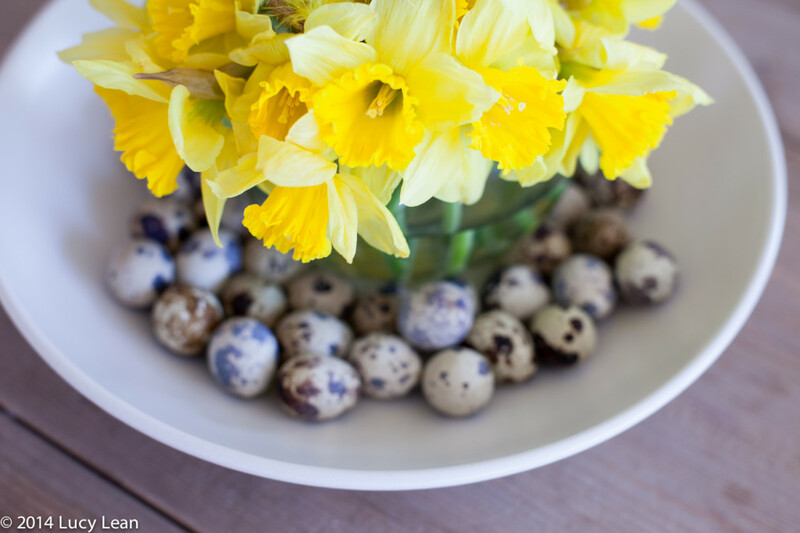 And when excellent friends bring a present of freshly laid eggs they are the most excellent friends of all – or should that be egg-cellent friends? 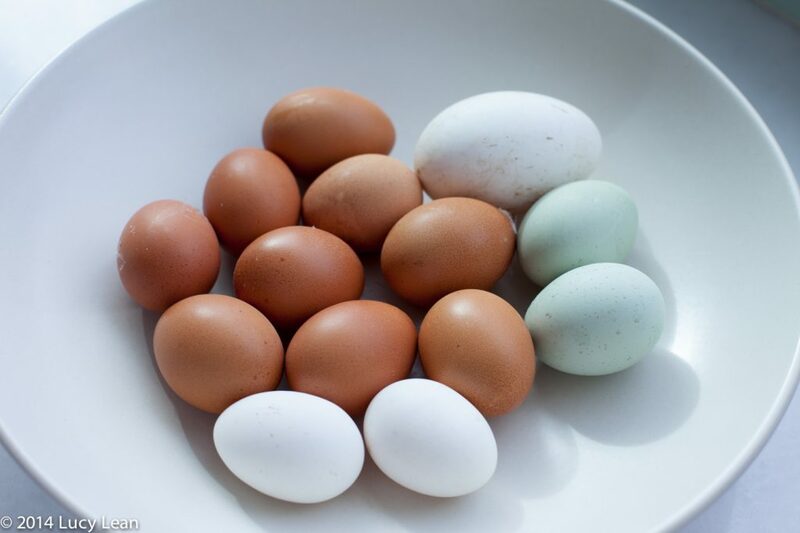 The present of eggs that Meeno delivered yesterday includes two araucana eggs – that perfect blue/green shell that I faked over Easter with dye. I’m crazy about eggs – and love all their shapes and sizes – from the smallest quails eggs to the largest ostrich egg. Since Didier has said no to hens at home perhaps I can sneak in a few quails without him noticing? 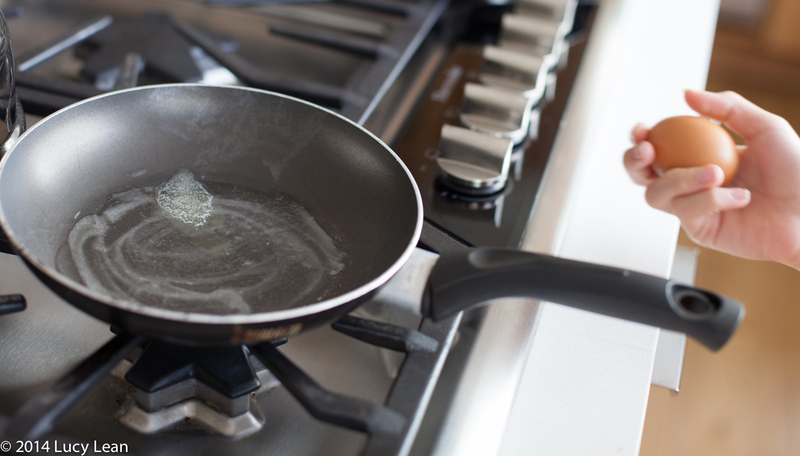 One of the simplest ways to cook an egg is in a good quality non-stick frying pan with a little butter. 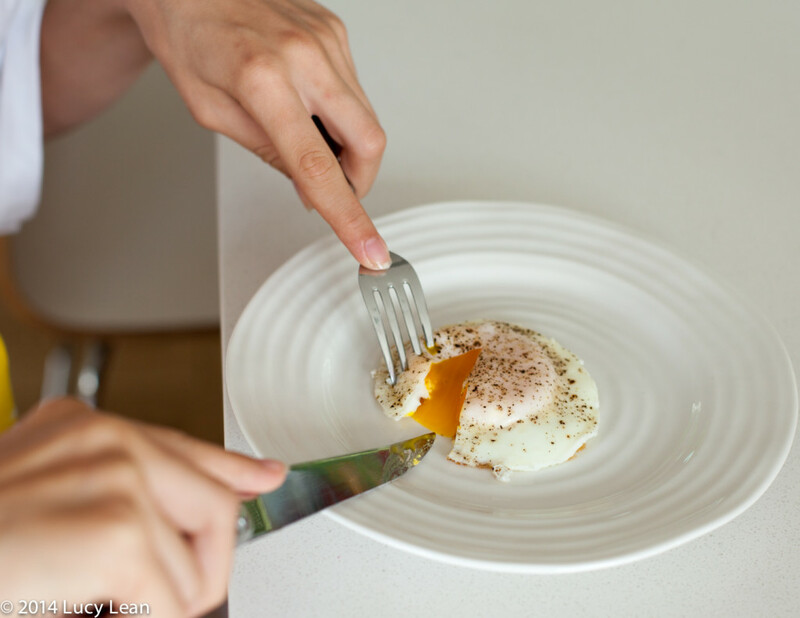 Minty makes her own breakfast every day and here she shows how easy it is to cook up an egg. 1. 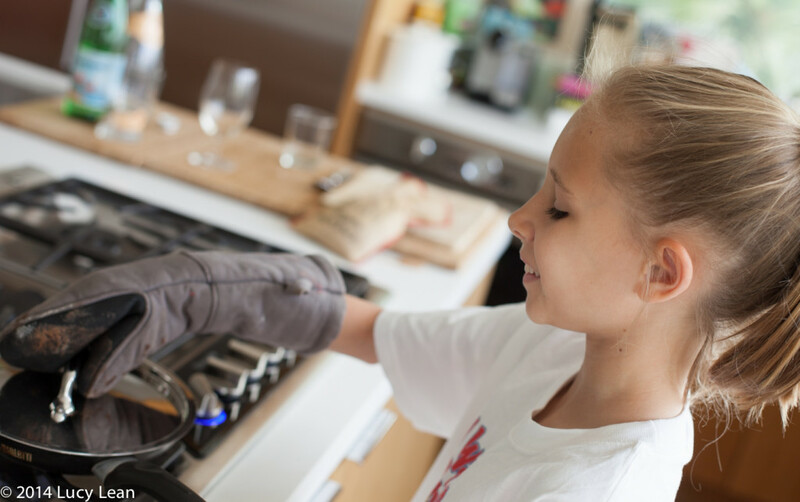 Heat the non-stick pan over low heat until just warm and add a small knob of butter, just enough to cover the bottom of the pan. 2. 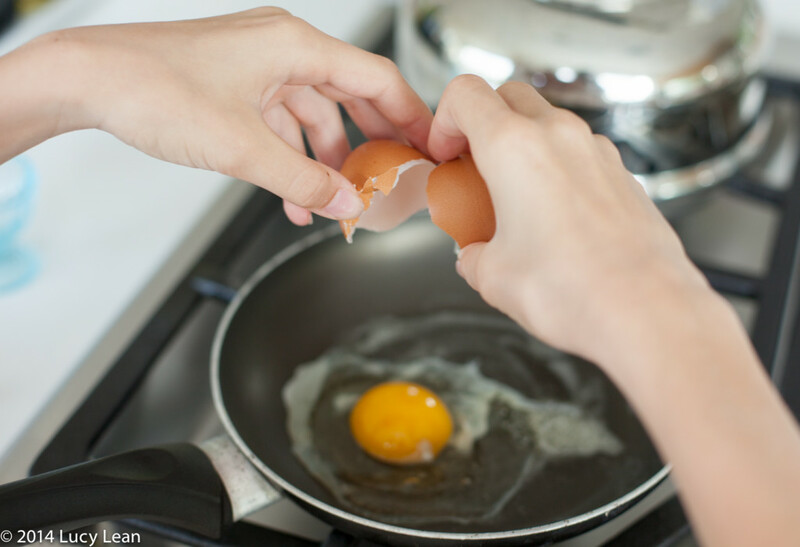 Crack the egg on the side and then break into the pan. 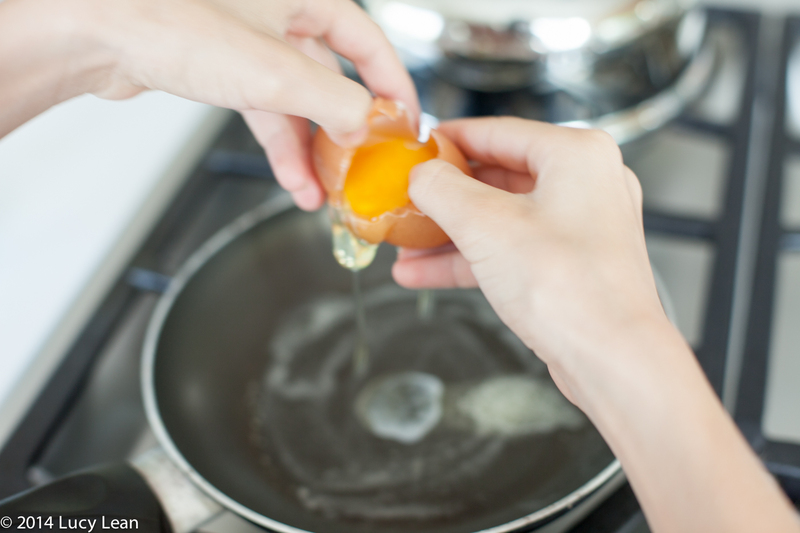 If you aren’t as confident at cracking eggs as Minty is you can break the egg into a small bowl first, remove any pieces of shell and then gently slide it into the pan. 3. Add some freshly ground pepper. Minty sometimes adds a sprinkling of Herbes de Provence to the top of her egg. 4. 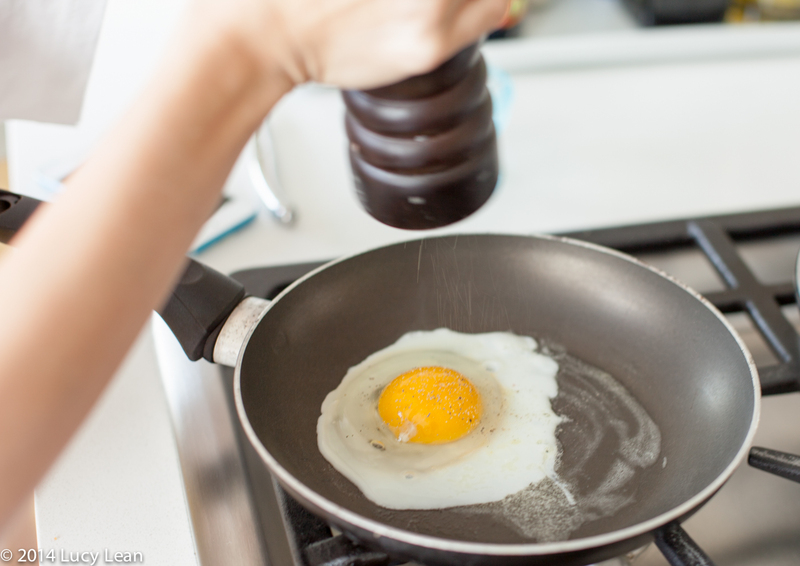 To ensure the top of the egg cooks cover the pan with a lid for about a minute. 5. 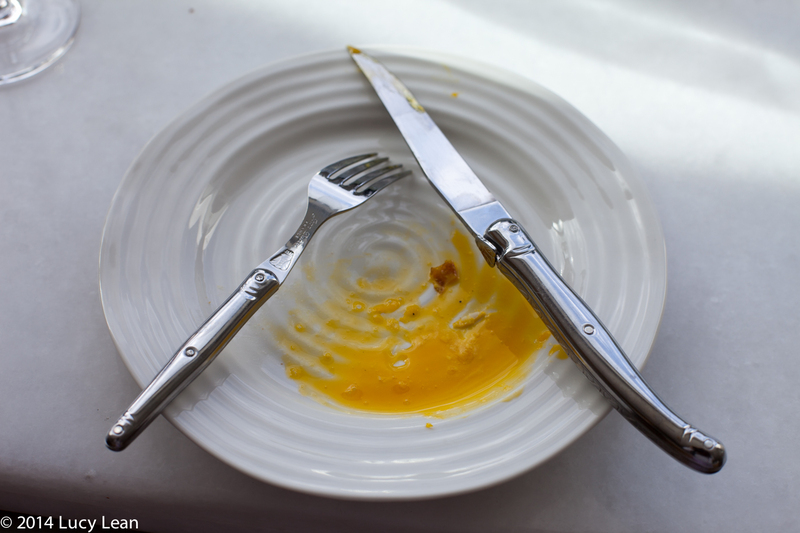 When the egg is cooked but the yolk is still runny, remove the lid and gently lift it out of the frying pan with a fish slice, being extra careful not to pierce or break the yolk. 6. 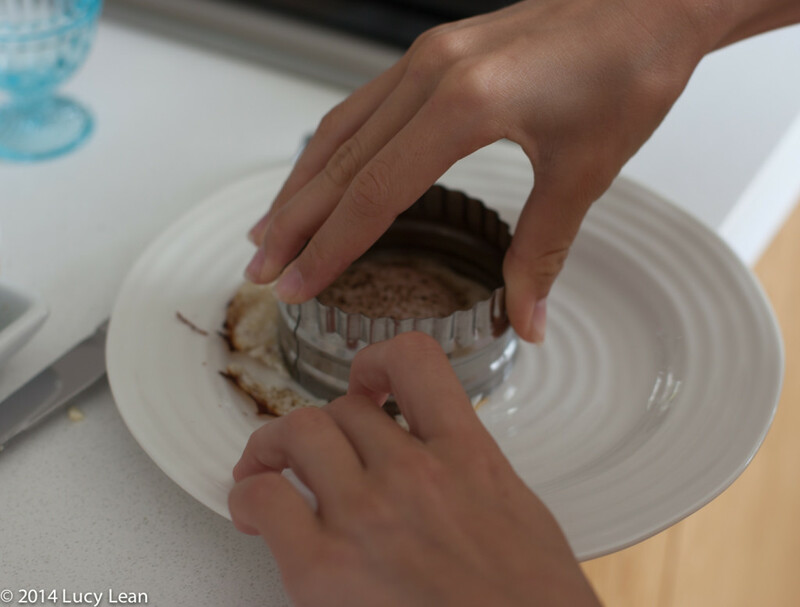 Trim the edges of the egg and make the perfect circle using a round cookie cutter. 7. Season with a little salt and some more pepper and serve immediately. 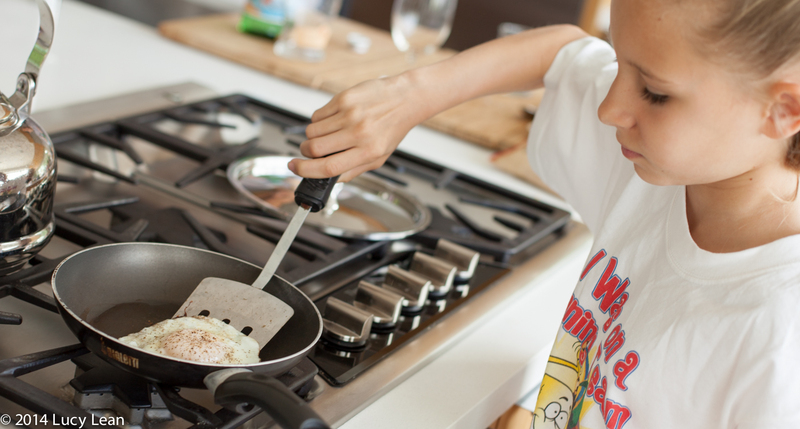 The key to success with cooking a fried egg to perfection is to use really fresh eggs with a good-quality non-stick frying pan and not have the heat too high. 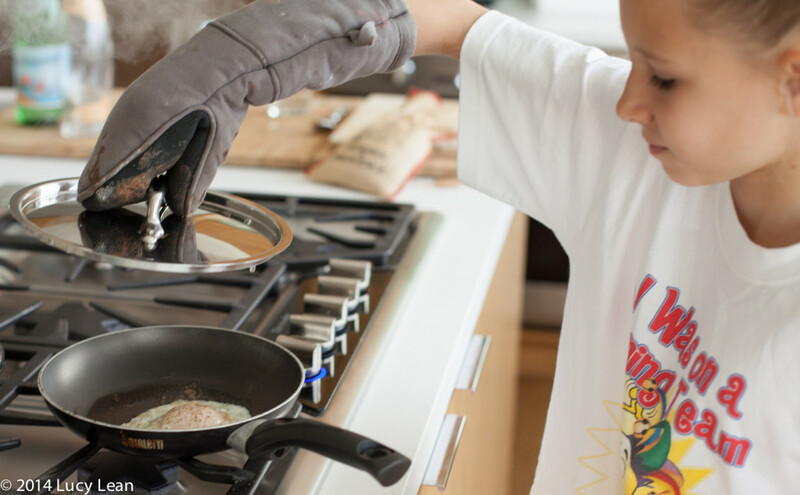 The lid method reduces the risk of breaking the yolk that often happens when you turn an egg. One of my most favorite books for ideas on ways to cook eggs is Michel Roux’s Eggs – from the basic techniques to the more advance uses of eggs in baking it’s a really great cookbook that’s both accessible and inspiring.